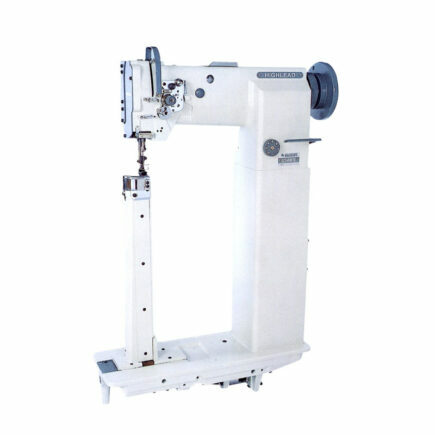 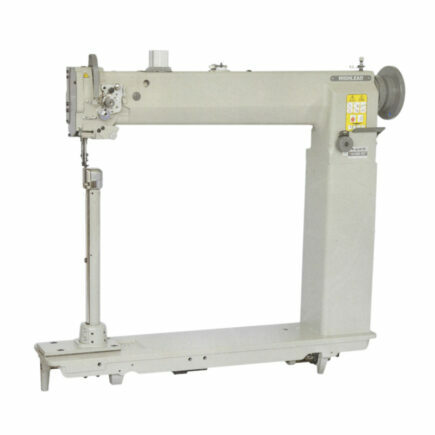 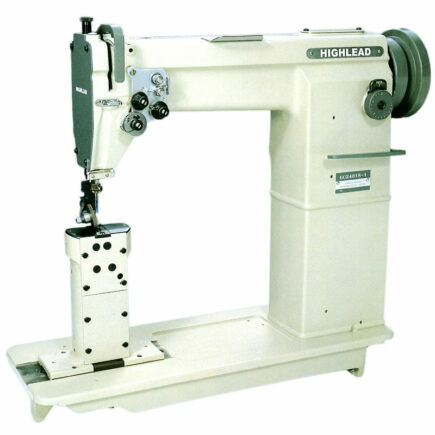 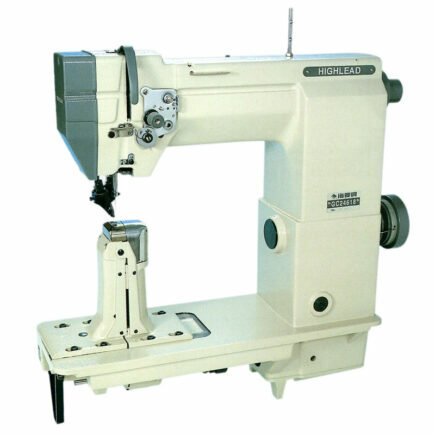 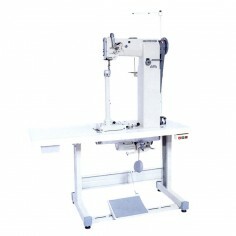 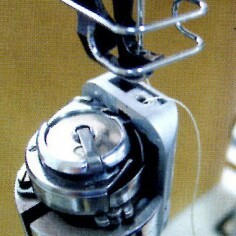 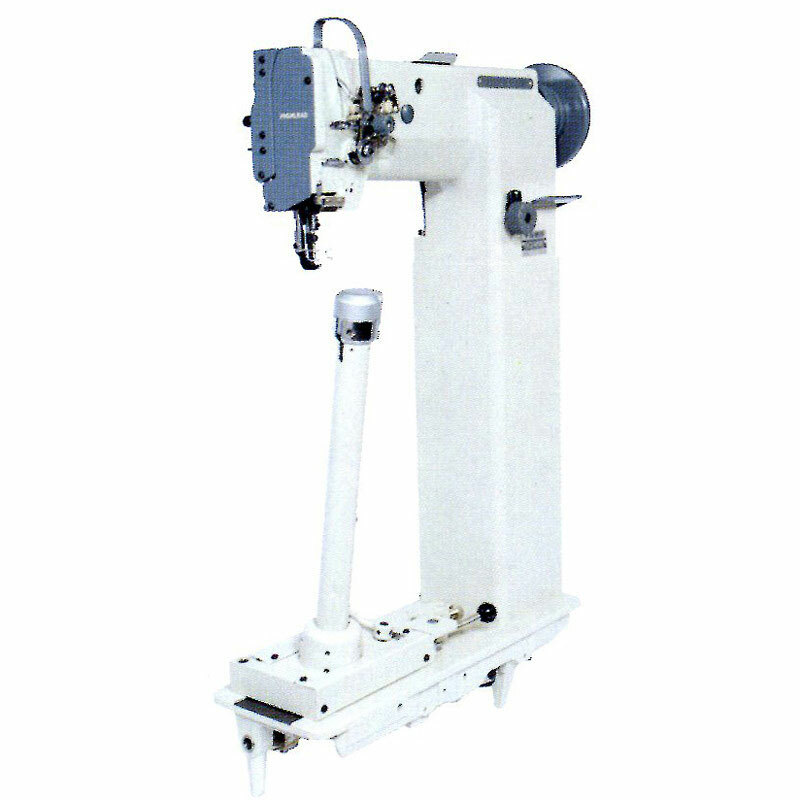 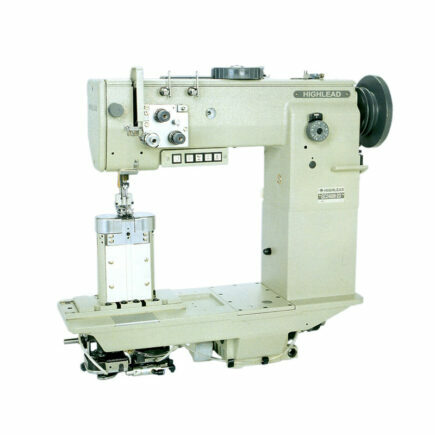 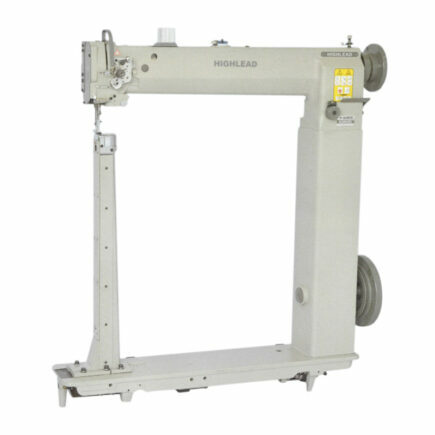 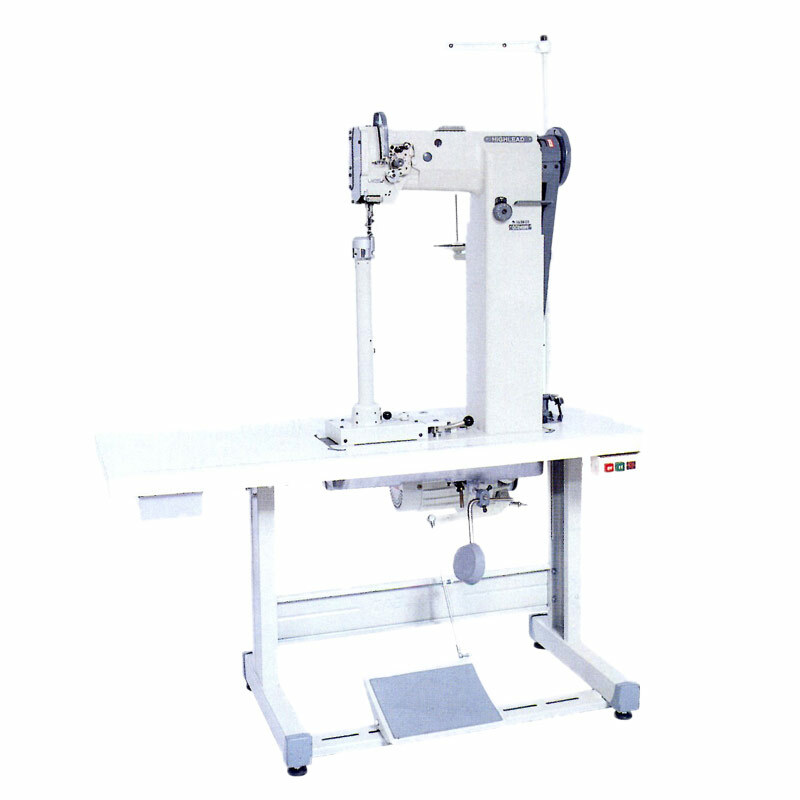 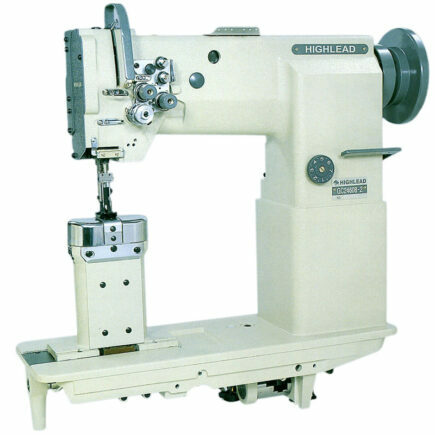 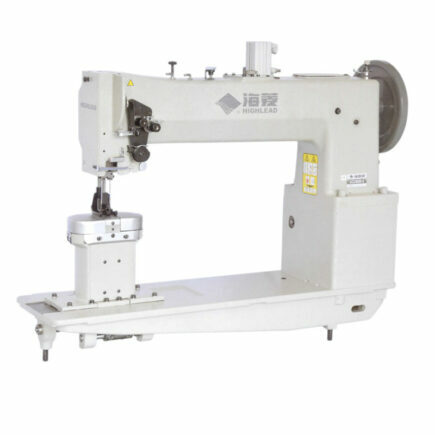 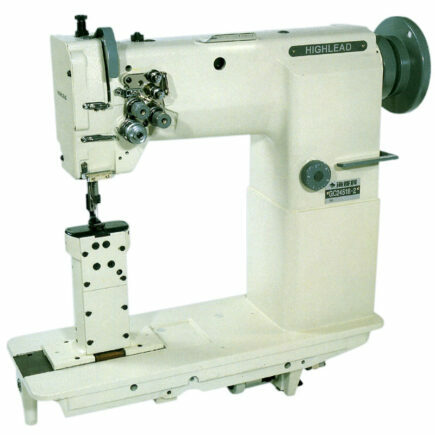 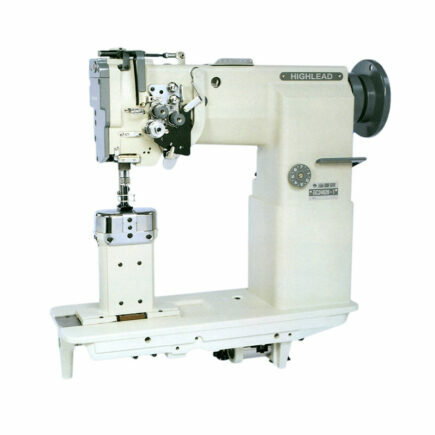 A super high 17 3/4 inch post bed compound feed single needle machine with an adjustable post and large capacity sewing hook. 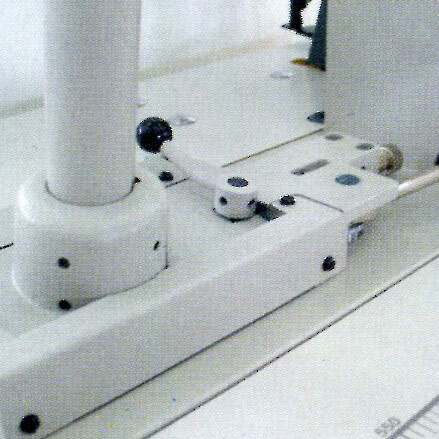 The special high post bed can be tilted towards the machine operator so that it enhances the material handling into and away from the sewing area. 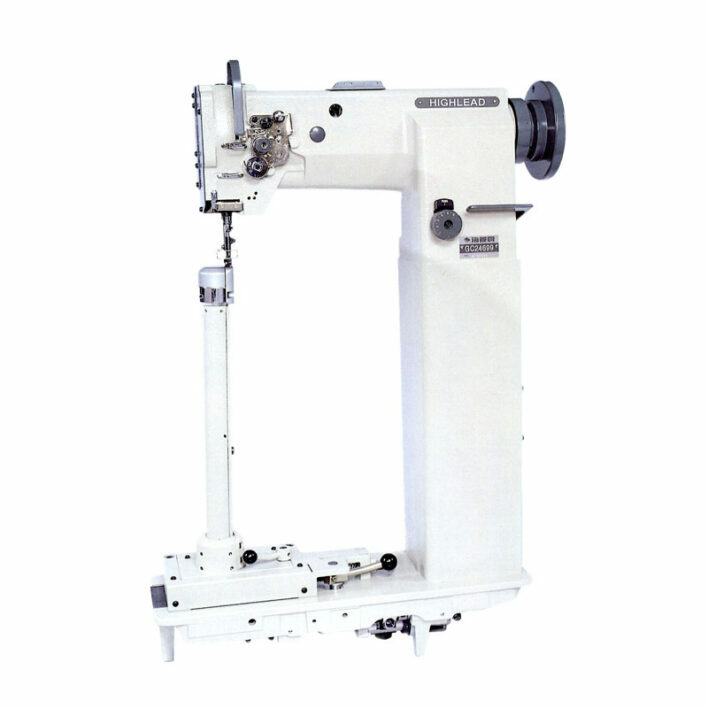 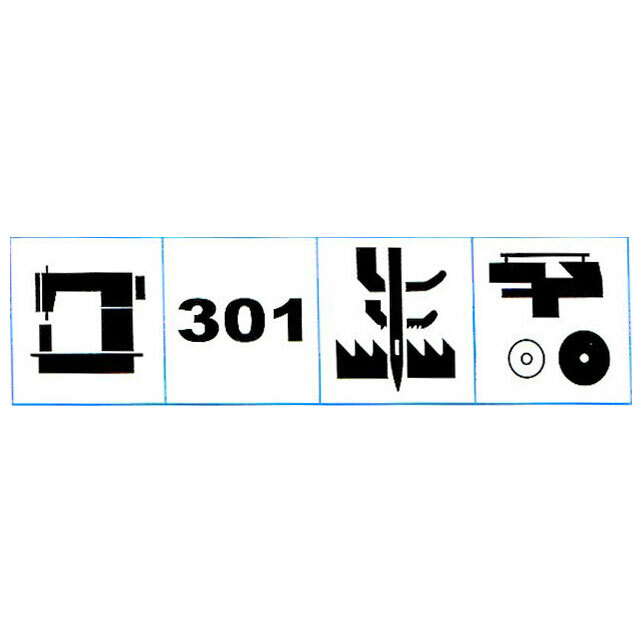 It easily sews multiple layered materials with surfaces containing a small radius that can be found on such products as boots, hats, wigs, hand bags, and similar items. 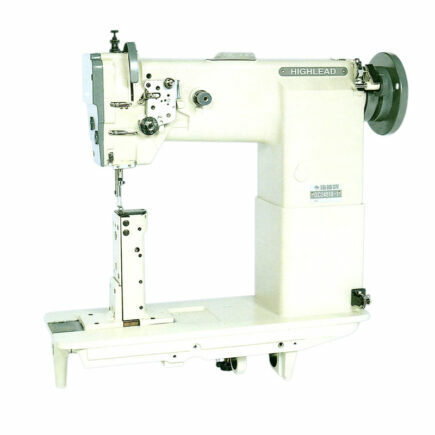 Max sewing speed 1600 r.p.m. 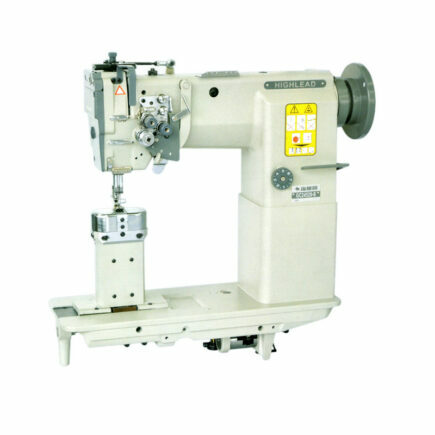 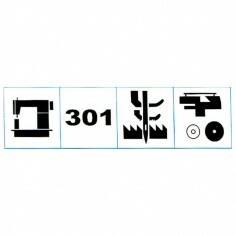 Motor 370W Clutch motor 1400 r.p.m.